Before the show floor opens to throngs of tech enthusiasts, and before big companies like Sony, Samsung, and LG reveal their latest and greatest to the world, we get a sneak peek at the trends shaping CES 2018 at an event called CES: Unveiled. And millennials be damned, because this year, the best gadgets could be the ones designed for seniors. The safety of our grandparents was an important issue at CES: Unveiled, with several devices promising a bit of extra peace of mind for caregivers. A French startup called E-Vone has created a line of custom shoes and trainers packed with a host of sensors including an accelerometer, a pressure sensor, a gyroscope, and GPS, that all work together to not only detect falls, but also notify friends and family of an incident. Thanks to a built-in GSM chip, a connection to a smartphone isn’t needed for the $100-$150 (£74-111) shoes to alert someone as to when and where a fall has occurred—but a $20/month (£15/month) service is. 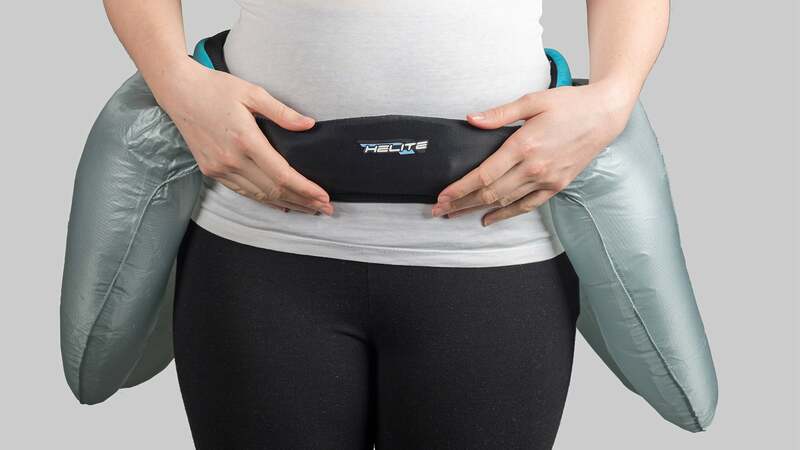 Even more ambitious is a wearable product called the Hip’Air that features airbags hidden on either side of a special belt. Using a gyroscope and accelerometer, the airbags automatically inflate in less than 0.08 seconds when the motions of a fall are detected, and then cushion the impact to help reduce the risk of broken bones and other serious injuries. They can save your life in a car crash, and now seniors can wear a set of personal airbags to keep them safe during a trip and fall. 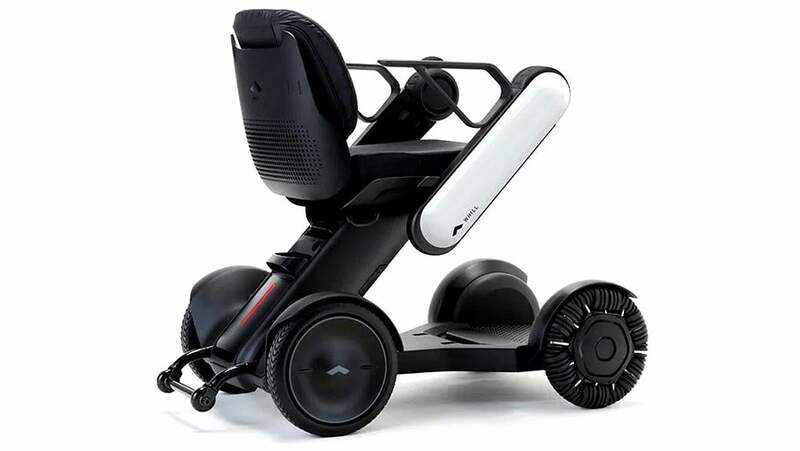 However, the Hip’Air won’t be available until later in the year, so in the meantime the most effective way to save seniors from fall-related injuries could be the new $4,000 (£2,950) Whill Model Ci which scoots them around with amazing manoeuvreability. It’s got a top speed of five miles per hour, a 10-mile range on a single charge, and it breaks down so it can be easily stashed in the boot. But the best feature is a custom-designed set of front wheels that steer super nimbly without actually turning. Instead, the wheels are made up of smaller rollers allowing them to move forwards and sideways, steered using either a joystick, or a mobile phone app. Wheels made of small rollers give the Whill Model Ci unprecedented manoeuvreability. And because our nation’s OAPs have already put in decades of hard work and deserve to relax during their retirements, we were also very excited to see the latest version of the Foldimatic laundry machine. You still won’t be able to get one until 2019, and it will set you back just shy of $1,000 (£737), but it can automatically fold a laundry list of different clothing types—from buttoned shirts to pillow cases—as long as you’re willing to sit there and feed it garment after garment. So maybe it’s not the timesaver the company promises it will be, but at least it will keep OAPs out of trouble.